← Is biomass really a renewable fuel? 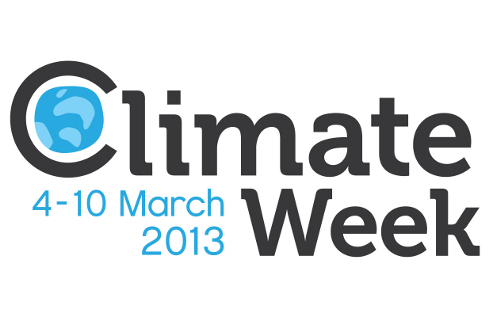 Enter our Climate Week giveaway to win a Roberts SolarDAB radio! Climate Week is happening from the 4th -10th March this year, and is set to be the UK’s biggest ever climate awareness campaign, with fun events happening around the country to help you save energy and money. In honour of the occasion, we’ve joined together with our friends DIY Doctor and Green Reviews to offer you a climate change competition with a difference. Instead of just giving us your email address, we want you to join us in making a pledge to save more carbon in your daily life using fab website The Donation. 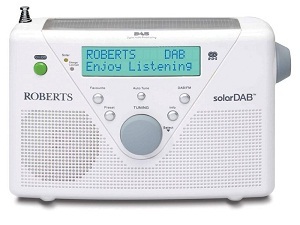 In return for your wonderful pledge, you will be entered into our draw to win a Roberts Solar DAB radio, the world’s first solar-powered digital radio! The fact that it’s solar powered means that you can take great quality music wherever you go and do your bit for the planet at the same time. Making multiple pledges will get you extra entries into the draw for our fabulous prize, so be ambitious! Each of the Be Energy Smart, Green Reviews and DIY Doctor teams will also be making their own pledges, and will be blogging about their experiences over the next fortnight, so stay tuned to see how they get on! You can make your pledge by visiting the Donation site here. The competition will close at midnight on the 10th March, and we’ll be notifying the winner on the following day. Good luck! This entry was posted in Green Lifestyle and tagged Climate Week, Competition, Energy saving. Bookmark the permalink.